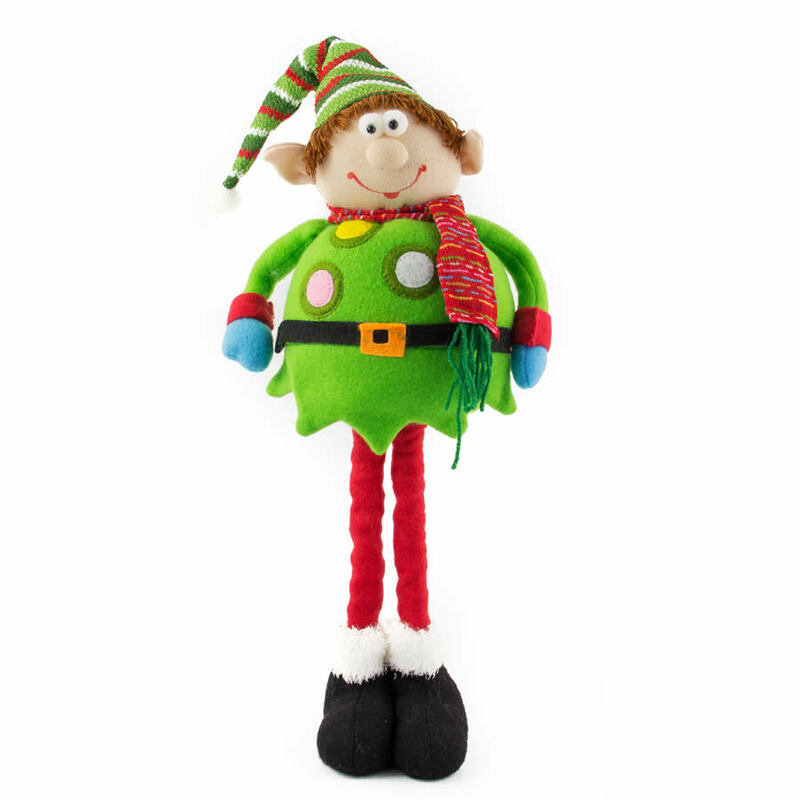 Give your home decor a giddy and fun touch with this merry Extendable Slim Leg Elf. This friendly fellow measures around 15cm wide by 58cm in height, and is accented in attire that is vibrant and colourful. He wears a polka-dot smock and striped cap- check out his funny ears! This elf is long and lanky- and would be the perfect pairing with the Extendable Slim Leg Santa or Deer, offered and sold separately, to park near the tree or on either side of your fireplace. These sweet plush figures are a welcoming way to greet guests, so consider pairing them in the window or near your front door. Enjoy the chuckles that you get from visitors and friend who come to your home during the Christmas season. This silly character would also be a much-loved gift!